A monument that will depict the rich culture, history, and traditions of the T'boli tribe, will soon rise at the municipal grounds in T'boli, South Cotabato. 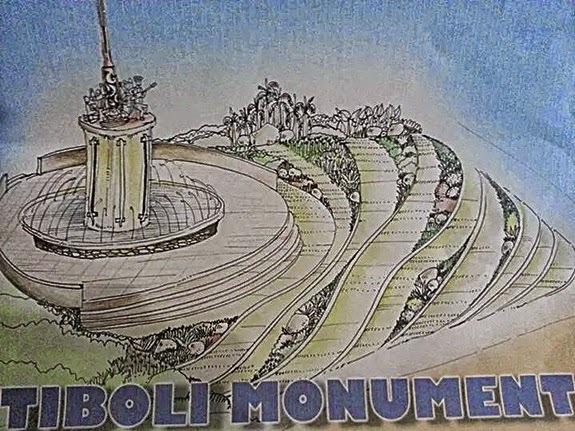 The T'boli monument was designed and will be built by renowned sculpture Kublai Ponce Millan who is also behind the Tri-People Monument in Surallah. T'boli is the major ethnic tribe in South Cotabato. They are well-known for their dream-inspired T'nalak weavings, brass casting and their dances. As posted at the official Facebook page of the Municipality of T'boli, the monument is expected to draw more visitors and tourists as their "side dish" to their trips in Holon and other tourism sites. Works on the project has commenced July 28, 2014 and is said to completed before the town celebrate its foundation anniversary and Seslong Festival in March next year. The Municipality of T'boli is one of the eco-cultural tourism destinations in the province of South Cotabato. It is also known for Lake Holon, one of the country's cleanest inland body of water and a favorite camping destination in the region.